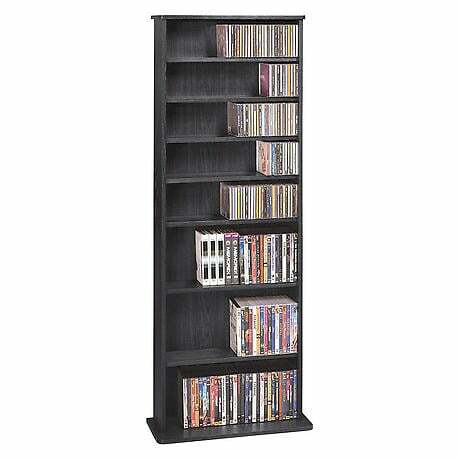 Reduce clutter and organize your collection without taking up a lot of floor space. 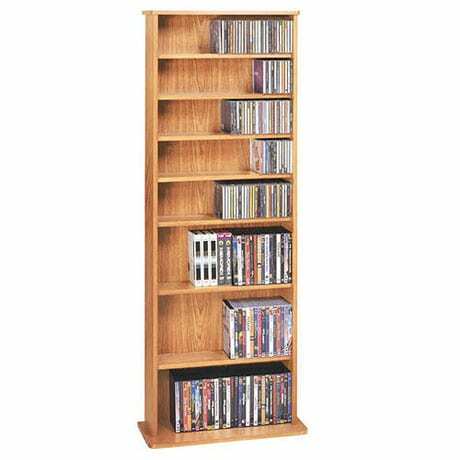 Oak veneer on MDF, single tower holds 500 CDs, 240 DVDs, or a combination on 9 adjustable shelves. 22"w x 64"h x 9 1/2"d. Simple assembly. Please allow 2-3 weeks for delivery. Rush and express delivery are not available for this item. Item can only be shipped within the Continental US. Extra shipping charges for this item: $+9.95.